Young CPG brands are chipping away market share from established giants. This post reveals three strategies changing how CPG brands build loyalty and drive purchases. Back when I worked at a digital agency, I grew tired of three words: Dollar. Shave. Club. From clients selling barbeques to beauty products, everyone wanted to copy their viral success. But even for me—a bearded man and Gillette MACH3 Turbo Razor loyalist—it’s hard to ignore their social marketing success. 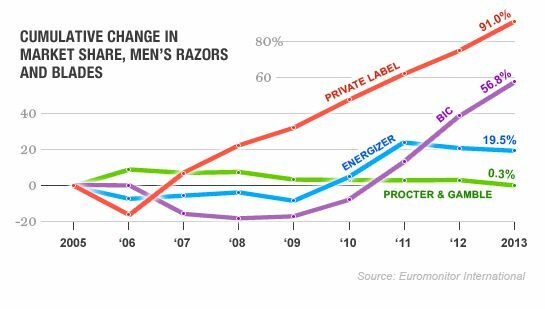 Today, the Dollar Shave Club claims to ship 10 million dollars worth of razor blades every month. And for established CPG brands, their success story reveals a broader trend: young companies are very effective at using digital and social tactics to steal market share. According to research by The Boston Consultancy, established CPG players have seen an 18 billion dollar sales erosion since 2009. Last year, new brands claimed four billion dollars in sales from CPG. In this article, I don’t want to talk about how you can copy the Dollar Shave Club’s success (the secret is to be funny, original, and have a good product idea). Instead, I want to outline three common strategies that we’ve observed at Hootsuite. 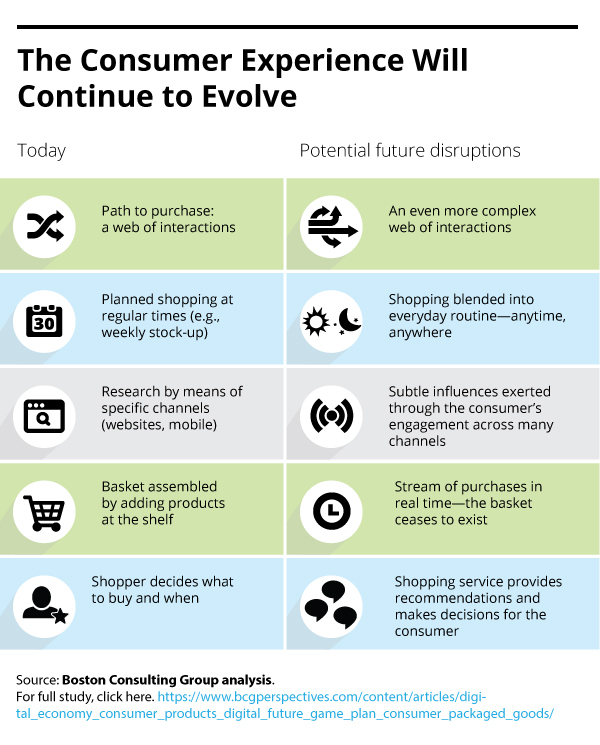 These are practical and achievable strategies that both young and established CPG brands can use to better reach today’s digital consumer. Young CPG brands who do well on social tend to be analytic-focused companies. Social isn’t just a distribution channel. It’s a source of new product data, consumer opinion, beta testing, and general pulse of the business. When you gather social media data daily, good ideas come to you. For example, one CPG campaign I love is Pedigree’s “First Days Out” campaign. It tells the true story of two men released from prison. They are lonely and broken. Pedigree helps them adopt dogs from shelters (the dog-version of jail). They save the dog; the dog saves them. I pulled data in Hootsuite Analytics to see if I could spot some interesting ways to extend the life of this campaign. Pedigree’s marketing team could quickly create a landing page or visual gallery. Fans of the campaign could write a personal message to the men and share the campaign with friends. The marketing team could then record a short video of them delivering these messages (perhaps as physical mail). Integrated global campaigns are still needed. But there’s a lot of missed opportunity in talking to consumers one-on-one. Young brands know this. For example, Herschel Supply Co has been running one Instagram campaign for years. It’s a slow drip, not a big splash. Alyssa Kritsch (Hootsuite’s former social media campaign coordinator) recently shared her expert steps to broadening your social listening. 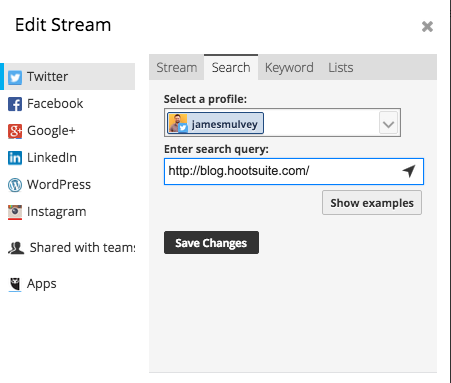 One little-known tactic is to set up a search stream in Hootsuite to monitor your blog URL (such as https://blog.hootsuite.com/). This will reveal every consumer who has shared anything from your blog, uncovering hidden conversations. Watch this short video for a few new expert listening strategies, helping your company discover discovery points your teams can target. Alyssa also recommends the Nexology app for Hootsuite. With the Nexus search feature, you’ll instantly gain a data web of conversation clusters around your products and brand. This makes it easy for you to watch how consumers discover and talk about your products on social channels. Young CPG brands know that even simple tactics can produce long-term growth. Here’s one example of how a CPG brand could turn online discovery into purchases, with very little budget or time investment. Pick a high-volume SEO keyword that signals purchase intent. 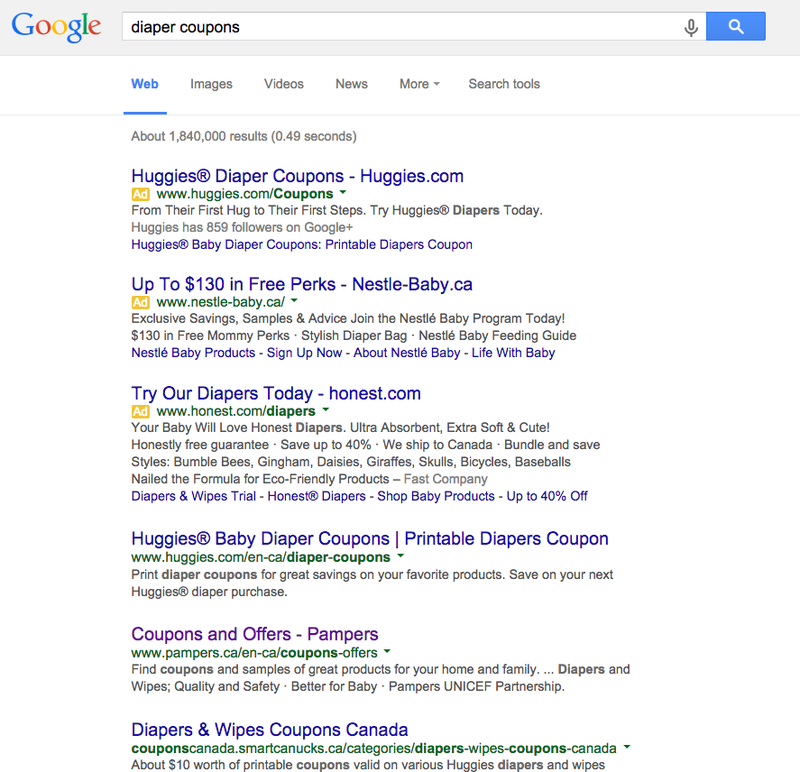 For example, “diaper coupons.” If you search for this keyword in Google, you’ll find a lot of brands competing for this term. Most CPG brands I found associated with this keyword are trying to get new mothers to enroll in their loyalty programs. The perks look attractive—discounts, free diaper bags, and printable coupons—but most require you to join their membership programs. I’m sure some of the traffic converts. At the same time, the intent of a person searching “diaper coupons” is likely far away from spending much time filling out forms. In fact, they are likely standing right there in the shopping aisle or quickly searching online before they rush to the store. Instead of trying to beat your competitors with higher rewards or a bigger diaper bag, focus on the intent of the visitor. If Google’s claim that “82 percent of consumers use search browsers on their phones for help shopping in-stores” is true, then likely the best way to win this race is by creating a simpler mousetrap. 1. Create an attractive coupon that the buyer can instantly redeem in a store or from an online retailer. But to unlock the coupon, the consumer needs to enter a really quick social media contest. For example, “share a Tweet with your baby’s cutest personality trait.” The key is to make this first action really simple (no more than three or four steps). Look at your competitor’s strategy—they are likely trying to get home addresses, demographic data, and enroll consumers in loyalty programs. All you need to do is to make your sign-up process simpler and more visually attractive. 2. Track these Tweets using a Hootsuite search stream. For the consumers who entered and shared your contest, now offer them an even better coupon if they enter a second post-purchase contest. For example, you could create an Instagram contest with the best diaper-dancing baby. You can set-up contests very quickly with Hootsuite Campaigns. 3. Once you’ve received this second engagement, you can ask for a third commitment on your contest thank-you or submitted pages. This is where you can ask the consumer to like your brand on Facebook or Instagram or to join your email rewards program. 4. Once you’ve collected enough entries to your simple contest (this can be a slow drip and not a big splash campaign), you can create a new contest. Ask your followers to vote for the best all-time entries and reward with new deals and offers. Those are a few of the strategies we’ve seen. Below are more resources to help CPG companies put this advice to work. When tweeting about toothpaste or beauty products, it’s easy to run out of ideas for content. If stuck for content, use these 5 creativity boosts for CPG brands. In this on-demand webinar, you’ll discover social campaign secrets from the Hootsuite team (including how we drove thousands of qualified leads with our “Win Hootsuite Pro for Life” sweepstakes). 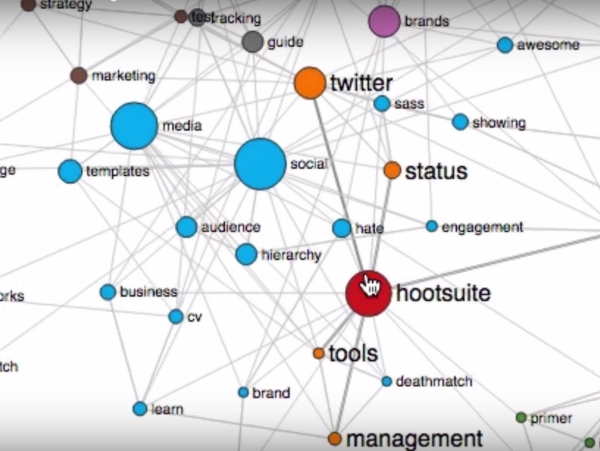 Platform Tour: Get a personal tour of the Hootsuite platform from a CPG expert. From Hootsuite Campaigns to deep social listening, you’ll see how Hootsuite helps CPG brands drive brand awareness and purchases. Book a demo with us.